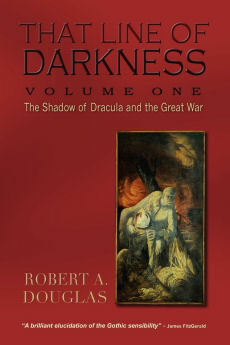 This piece that originally appeared in Critics at Large is reproduced on this site because of its obvious associations with the publication of That Line of Darkness: The Spirit of Dracula and the Great War (Encompass Editions, 2012). 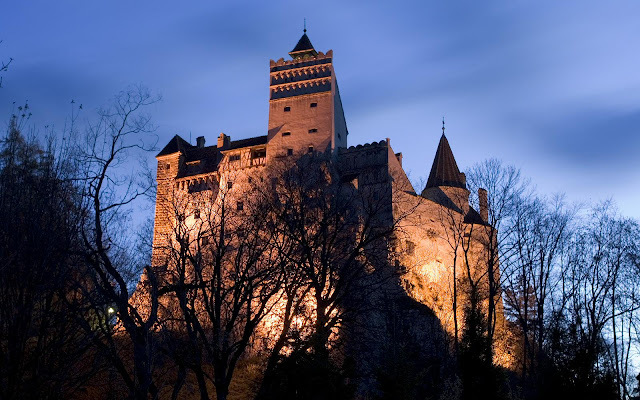 Bran Castle is situated on the border between Transylvania and Wallachia. Castle Bran, purportedly the inspiration for Castle Dracula in Bram Stoker’s 1897 classic Dracula, is less than 200 kilometers from Bucharest. On a major holiday weekend in August, our tour bus set out from the capital to drive us through Transylvania to this magnificent thirteenth-century edifice, whose foundation seems an extension of the rocky ground with a palace emerging from it. Unfortunately, Romanians gathering from near and far blanketed the mainly two-lane highway, preventing us from reaching our destination until early evening. Nonetheless, I was excited to visit this historic site that has spawned so many misconceptions. While our guide – one of the best during the tour – rightly acknowledged that Stoker never visited Transylvania, then part of the Austrian-Hungarian Empire, and that the connections between Bran Castle and Stoker were tenuous at best, he did think that the fortress Poenari, 200 kilometers away in Wallachia, the domicile of Vlad Tepes, the fifteenth-century Wallachian ruler, was associated with Stoker’s novel. While he was right about the one-time owner of Poenari, he was wrong about its link with Dracula. His mistake is understandable given the plethora of disinformation about the subject. The most notable misconception appears online here, in the first sentence: “Bran Castle, the most famous tourist attractions in Romania due to the connection to the bloodiest Romanian of all times – Count Dracula.” The anonymous author is right about the castle's being one of Romania’s best-known tourist sites; the number of buses and the long line ups attest to its popularity. But the connection between the castle and Stoker’s eponymous protagonist is blatantly wrong. The second is the alleged connection between Vlad Tepes (known by his sobriquet, the Impaler, because of his cruel method of dispatching his enemies) and Dracula. The glossy castle guide that otherwise offers sensible observations does insert this howler: “The hero of the novel, Count Dracula – an original monster, far better known than his historical counterpart – could be the fruit of multiple suggestions the author discovered in a history of Transylvania, where the old fortress seem [sic] to be an ideal setting for bloody phantasms and terrible vampires.” Only the first part of this sentence contains a kernel of truth; the rest is rubbish. Anyone who has read the novel or seen any of its film adaptations will instantly recognize that this royal palace in no way resembles the novel’s Castle Dracula. To assist me in tracking down how these mistakes arose and how they became part of the cultural zeitgeist, I turned to Dracula: Sense and Nonsense (2006) by Elizabeth Miller, the distinguished Canadian scholar, who caustically debunks the myths and wrongheaded assumptions that saturate encyclopaedias, travel guides, television documentaries and, most disturbing, academic studies and biographies of Bram Stoker. Miller traces the source of this miasma to In Search of Dracula (1973) by two historians of Eastern Europe – not literary scholars – Raymond McNally and Radu Florescue, who, she acknowledges, conducted valuable research on Vlad Tepes. Although they were not the first to make the connection between him and Dracula, they were the first to popularize the notion. During interviews, although they were careful not to suggest that Tepes was the inspiration for Stoker’s novel, they left that impression and the media and popular culture connected the dots. In 1975, a documentary about Tepes (inspired by McNally and Florescu's volume) was made with Christopher Lee appearing as the Wallachian Prince, an interesting choice since the actor was best known for playing Dracula. Perhaps the most notable film that explicitly makes the connection between Vlad and Dracula is Francis Ford Coppola’s 1992 Bram Stoker’s Dracula. Although Miller is not troubled by the film given that it is fiction, she acknowledges that it did inspire her to review the apparent link and other factoids – before demolishing them. 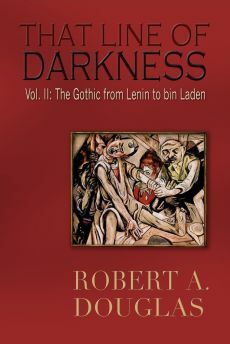 Miller makes it abundantly clear that although Stoker did some research of nineteenth-century sources, discovering the words Dracula and nosferatu, none of it mentions Castle Dracula, the domicile of Vlad Tepes, Vlad the Impaler, or Bran Castle. In Something in the Blood: The Untold Story of the Man Who Wrote Dracula, David J. Skal, Stoker’s most recent and best biographer, aptly comments that the Bram Stoker's Dracula is “surely one of the most misleading film titles of all time,” given that the tragic back story that opens the film and its consequences are not in the novel. That narrative begins as Vlad’s beloved, Elisabeta, plunges to her death after getting the mistaken news that he has been killed. He in turn summons the power of darkness, becoming Dracula searching for the reincarnated Elisabeta in the form of Mina Harker in late-nineteenth-century England. As a result, the Vlad-Dracula association remains in vogue, as witnessed by the casual conversations I had with others on the tour and with individuals since I have returned. Anyone who has seen that misleading film should read the novel if they have not already, and for good measure Skal’s 2016 insightful biography, which, by the way, acknowledges the scholarship of Elizabeth Miller and leaves all previous biographies in the dust. What can be said about Bran Castle? Besides its impressive façade, much here would appeal to contemporary tourists. There are a battlements tower, a Gothic chapel, a winding, challenging staircase, and a weapons room which gives guides the opportunity to tell the story that Vlad Tepes may have been imprisoned here. Miller suggests that he may have been a visitor but the evidence either way appears thin. There are a secret staircase discovered during the interwar period restoration and an underground passage; one image of the former appears in the guidebook and you can find images of the underground passage online. Much of the castle rebuilt during this period was meant to accommodate the needs of Romania’s Queen Marie, the granddaughter of Queen Victoria, who lived there during the 1920s and '30s with her daughter Princess Illeana. Most of what we toured was their living quarters. But it’s the external façade that stays with me the most, rendering it possible to believe, even for a fleeting moment and in defiance of the evidence, that we have arrived at the location of the edifice of Bram Stoker’s Dracula.